The CUE (USB to Ethernet+Power Converter Box) allows simultaneous ethernet communication and charging capabilities for up to 3 individual Nett Warrior End User Devices. The CUE can be mounted utilizing 3 specific mounting options. There are multiple roles the Mini-Host provides when being used in an airborne platform. 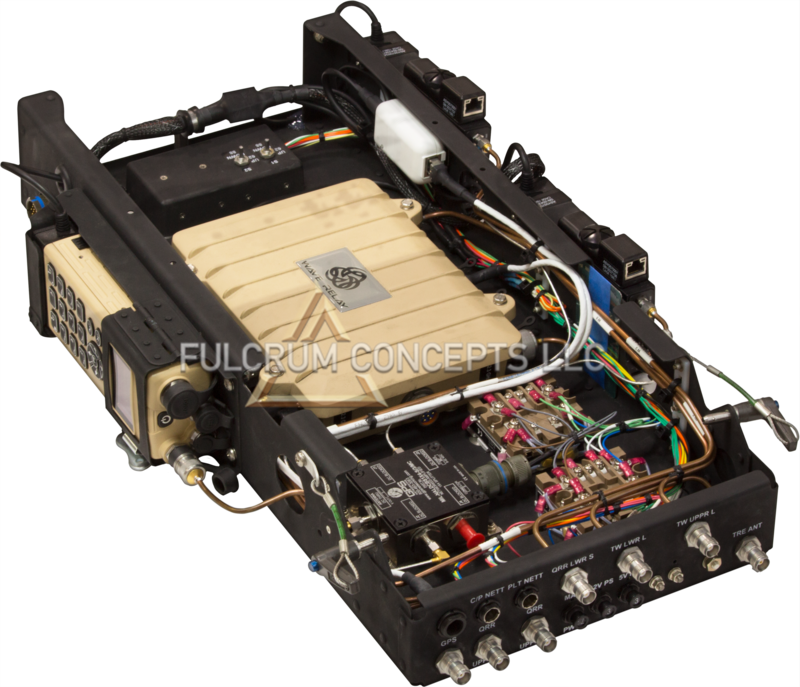 With external antennas on its host vehicle, it can receive and transmit voice communications, position locator information (PLI), real time full motion video (FMV) from ISR (Intelligence, Surveillance, and Reconnaissance) aircraft or ground operators, and act as a relay platform to extend ground force transmissions over much greater distances. 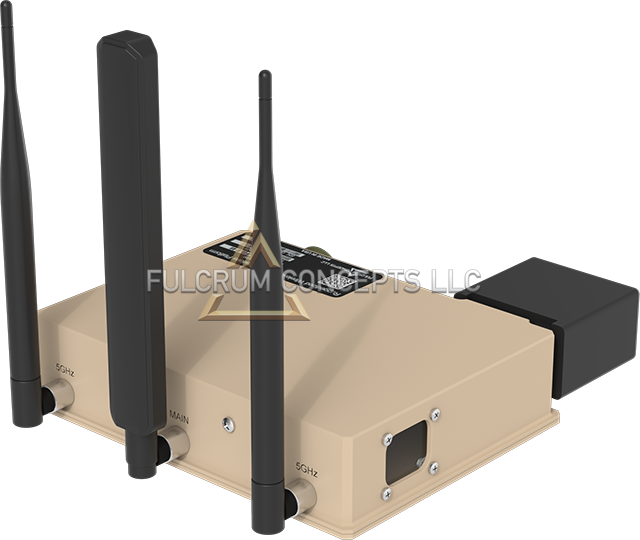 The Mini-Host’s consists of multiple Mobile Ad Hoc Network (MANET) radios allowing its host vehicle to move in and out of mesh networks while receiving and transmitting vital information to the warfighter. The TRE/PRC-152 Communication Kit seamlessly integrates advanced communications in a modular fashion using high-strength aerospace materials. 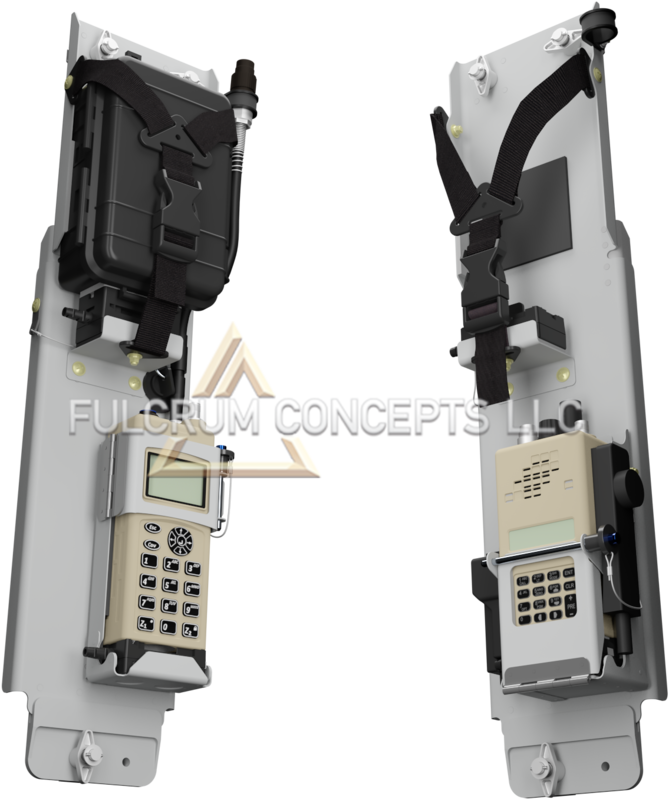 The system interfaces to existing provisions on the MD530’s or A/MH-6M’s modular seat track system. 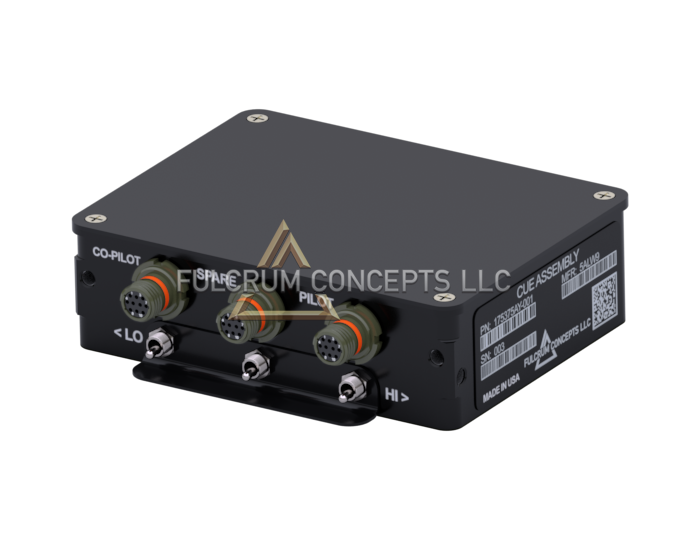 The Ruggedized 4G LTE Wireless Communications Platform provides a robust networking solution to bridge this technology gap, enabling seamless, real-time situational awareness between diverse forces in a secure environment. The Ruggedized 4G LTE Wireless Communications Platform will marry the individual system’s communication protocols and distribute real-time information to all operational elements using the Platform.